Admittedly, people tend to be hesitant about going to military museums. After all, the term military museum evokes retired officers, long-serving veterans or somewhat quirky collectors of tin soldiers. 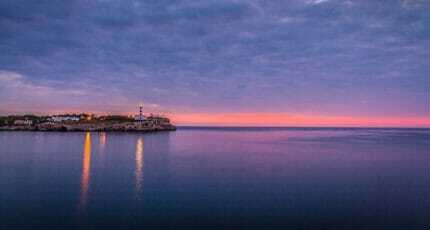 Yet if for once you don’t go into the Porto Pi shopping centre, but in the opposite direction to the ferry port, the Dique del Oeste, you will arrive at Palma’s military museum. Just follow the driveway, passing by old cannonry, and there you are, at your destination. 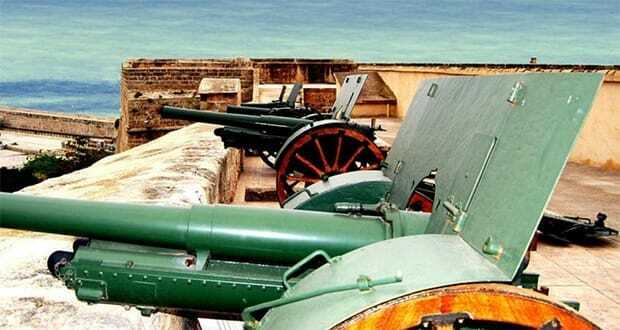 Two canons from the 19th century flank the big entrance door. In the alleyway you have to pass by the sentinel room. We press our faces against the door-sized window. But then, we discover a light switch. The visitor is greeted by five soldiers that are on duty in the sentinel room. The mannequin soldiers wear the uniform of the Palma voluntaries corps, which fought against Napoleon at the beginning of the 19th century. We leave these five alone to their silent duty and chat with the soldier passing-by about the layout of the exposition. 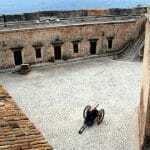 Inside the ramparts, nine halls are grouped around the courtyard, which is paved with large stones. The glistening midday sun is shining on the square where roll calls took place in the past. Today, you can hear laughter coming out of the open window of the management office. A chat between administrative officers, cleaners and craftsmen. We change the heat of the courtyard for the pleasant coolness of the first hall. 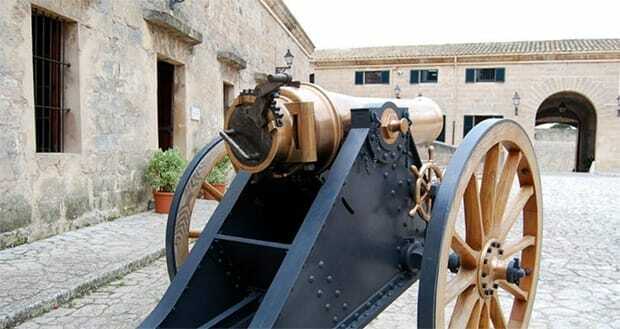 This is where the Colección Llorente, one of Spain’s most important private collections of arms, is situated. It comprises European, African, Asian and Oceanic arms, not all of which were used for defence purposes, but also for rites, ceremonies and decoration. Surprising things are on display. Knives with wave-like blades, depicting snakes and other animals and prehistoric axes in the form of bird heads. The exhibits are technical masterpieces of the forgers, engravers, carvers and jewellers. The hilt of an Indonesian long dagger, a keris, represents a smirking lion, its sheath is a work of art in red, green and gold. In contrast, many African arms are decorated less with figures, but instead with wonderful abstract patterns. We learn about the difference between a sabre and a sword and understand the aesthetics and technical perfection of a Japanese Katana or Takouba. Pommels of Russian daggers, decorated with precious stones, as well as arrows, bows and rifles with four barrels show human resourcefulness and how intellect is eagerly put into the service of arms. After 330 sabres, daggers, knives, swords, arrows and rapiers from the 14th to the 19th century and 137 firearms from the 14th-19th century, we are glad to be on the sunny square once again. 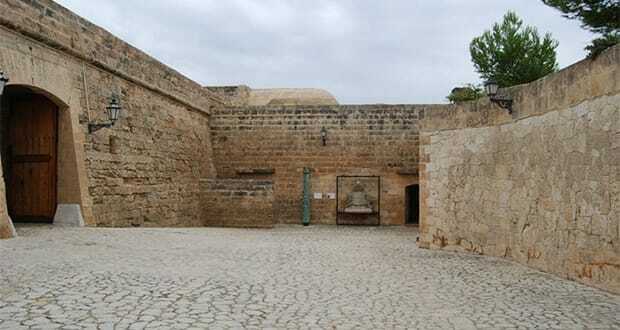 In the other halls, there are cannonballs piled up to pyramids, showcases with ammunition and cartridges, maps, pennants, uniforms and technical devices for communication. Spiritual assistance was provided by military clergyman, who could bless soldiers and arms with their mobile folding altar. 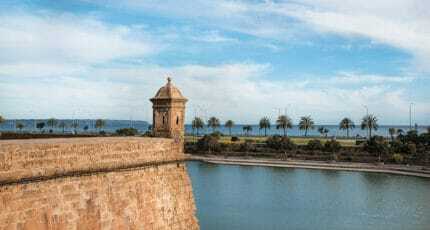 The blessing of the government was given to General Weyler in hall 5, when Spanish Prime Minister del Castillo sent him and his army to Cuba in 1895 in order to put down the liberation army. 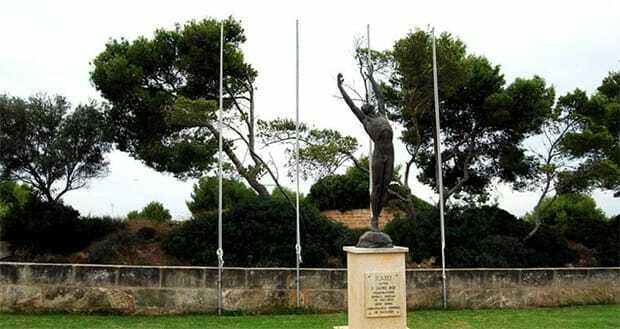 Though Valeriano Weyler y Nicolau, who was born in Mallorca in 1838 as son of a German military doctor, was successful in his military undertakings, his brutal procedure against insurgents and civilians and the extension of reconcentration camps gave him the byname „the Butcher“, provoked worldwide indignation and served as a pretext for the US to enter the imperialistic world stage, although the Spanish government had officially announced its retreat from Cuba. Weyler was recalled from his position. But we don’t learn anything about that in hall 5. The photos, documents and memorabilia show a man serving his country. Back in Palma, we are sitting in the cafe of the Grand Hotel on Plaça Weyler, thinking about the general and about Cuba and contemplating if we should submit a request for the town to change the name of that square. Castell de San Carles it’s free entrance. Their opening hours are Monday to Friday 9.00-13.00 and Saturday 10.00-13.00. 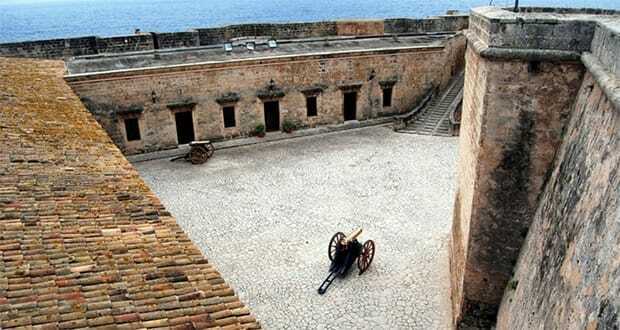 We hope you have found this article about the Palma’s Military Museum useful and that you have many memorable stays in Mallorca as a result of our recommendations.